From common colds to chronic disease management, a doctor to your door makes life easier. Experience relationship-based care with a doctor who gets to know you and your health history. 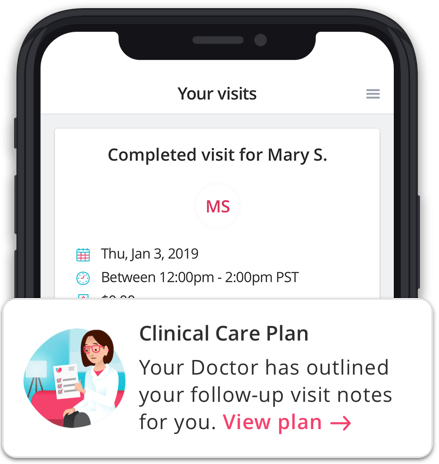 Every patient receives a clinical care plan to know their next steps. It’s easy to share with other providers. 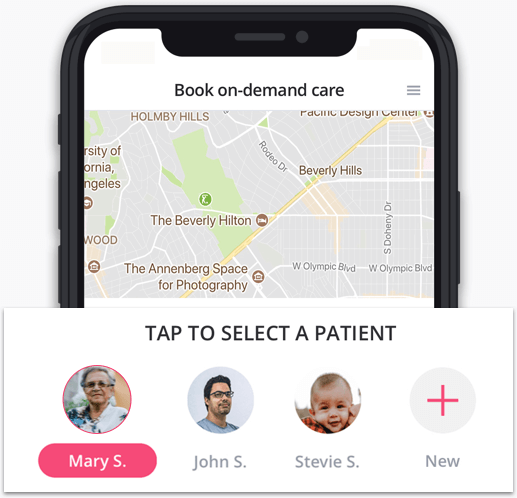 Set-up a profile, choose a doctor, and get care for your loved one as soon as the same day. 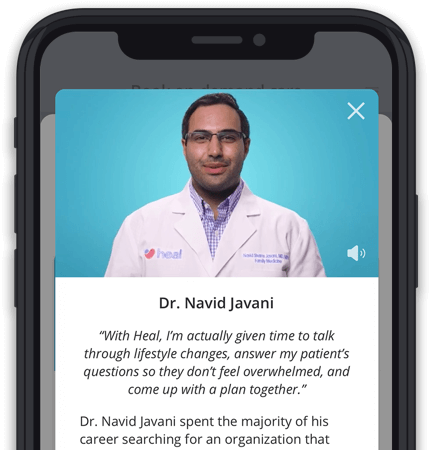 "Heal will bring a well qualified doctor right to your own house—no months-long waiting for an appointment or germy waiting rooms needed." "A centuries-old health care approach is popular again. Concierge medicine, where a doctor visits patients at their home, is regaining traction."